Family History – genetic links or any other family members who have been affected by the same condition. 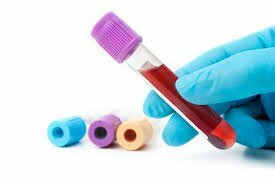 Blood tests – it is really useful to bring a copy of any recent blood tests with you to your hair loss consultation, even if they are all normal. This is most relevant in hair loss complaints. You can read more about which blood tests are most helpful further down this page under diagnostic tests. This list is by no means exhaustive. Often an answer to a question at a hair loss consultation will trigger further questions based on that particular answer. 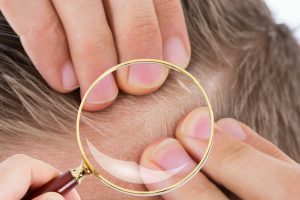 Basically the more talkative and forthcoming you are during your hair loss consultation, the easier it is to give an accurate diagnosis and to get treatment recommendations right. 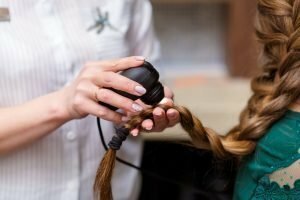 By the end of the majority of hair loss consultations, I will be able to tell you what hair loss or scalp condition you are suffering from and what in the balance of probability has caused it. This information will follow with what you can do, should do or need to do about it or your ‘plan of action’. Your plan may include lifestyle or habit changes, diet changes, supplement recommendations, topical hair loss treatments (both pharmaceutical and plant based), home scalp treatments (natural and pharmaceutical), clinic scalp treatments, clinic hair treatments, laser phototherapy and referrals to other specialists (medical or alternative). Even if your condition is not treatable or curable there are always suggestions for ‘best form of management for improvement in quality of life’. Please note: Recommendations, suggestions and your plan of action are down to you to act on and execute. You are not obliged to buy anything suggested or take any of the advice given. Trichologists charge a fee for their time and many people take away the advice they have ‘bought’ and either act on it or don’t act on it. I have over 20 years knowledge and experience of the fact that ‘you can take a horse to water but you can’t make it drink’. The recommendations and suggestions I make are based on 20 years of seeing and knowing what works. However, I’m not offended if advice is not taken, sometimes a little bemused but never offended. I love to work with enthusiastic people and am incredibly rewarded by seeing hair loss or scalp conditions improve or disappear. 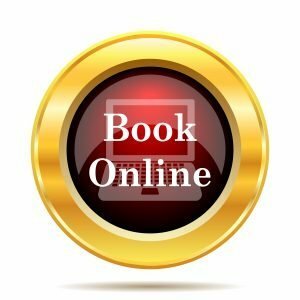 To book an initial scalp or hair loss consultation visit our online booking page at any time or call us during business hours. Your scalp and hair are visually examined depending on your symptoms. In some cases a small hand held camera is used to magnify your scalp. This is particularly useful for diagnosing cases of Alopecia Areata to establish if the condition is active (getting worse) or stable. Photomagnification is useful to see the first signs of new hair growth in Alopecia Areata, as initial hair growth is often de-pigmented and hard to see with the naked eye or magnifying glass. Please note that this tool is not used for ‘showmanship’ as in many hair loss clinics. Appointment time is not wasted demonstrating your hair and scalp appearance at 50x magnification if it is not necessary. In some cases it is useful to carry out a trichogram (hair count) or examine hair roots. Hair samples are epilated (pulled) from the scalp to examine under a high power microscope and to asses the number of hairs in each hair cycle in a given sample. In hair loss cases, particularly female hair loss, blood tests are by far the most useful and necessary diagnostic test. When interpreted correctly, blood tests should show what is and is not causing your hair loss. If you think your hair loss may be androgenetic (women) please also ask for a Serum Testosterone test. What If You Are Not Able To Get Blood Tests? Ideally your GP should carry out your blood tests. If you have not had blood tests for some time or have other health complaints your GP may like to carry out a health screen. If you do not have a GP, time to visit your practice or are refused blood tests there are other options. One option is to visit a private clinic although this can be very expensive. Another option is to use a home blood test system such as Thriva. Thriva offer a fingerpick blood test system. You purchase a test online, Thriva post a collection pack to you with detailed instructions. You take the blood sample via a finger prick and collect the blood in a small pot containing a preservative. Post the sample the same day as the collection. You get the blood test results emailed to you within a day or two with comments and suggestions from a Doctor. The Thriva blood test service is also excellent for enabling you to monitor healthy blood levels without bothering your GP or unnecessarily adding to the NHS budget. Please try and obtain a printed copy of test results or ask for the ‘number’ for each individual test. This is an essential part of your hair loss consultation. Ninety percent more women have test results in the ‘normal’ range but may fall only just slightly within this. You may think there is nothing that can improve your hair because your bloods are within normal range but they may not be Optimum for hair growth.